If you like ice cream, odds are good that you're intimately familiar with Ben Cohen and Jerry Greenfield, even if you didn't know it. That's because the two childhood friends are the co-founders of Ben & Jerry's Homemade Holdings Inc., the socially conscious ice cream company that has done more than its part to increase the size of waistbands worldwide. Since 1978, when Cohen and Greenfield opened their first ice cream parlor in a renovated gas station in Burlington, VT, the pair has managed to grow Ben & Jerry's into one of the world's most recognizable ice cream brands. By continuously concocting unique flavor combinations packed with multiple ingredients and bestowed with unusual names, Ben & Jerry's has broadened the variety of ice cream available to consumers well beyond the 31 flavors once touted by Baskin Robbins. But while flavors such as "Cherry Garcia" and "Chunky Monkey" have had staying power, not all of the company's flavor attempts have been a hit--thus the Flavor Graveyard, where Ben & Jerry's remembers its retired flavors such as "Wavy Gravy" and "Economic Crunch." Ben & Jerry's success in blending countless ingredients made us think about the regulatory bodies that blend their efforts to regulate the banking industry. Depending on the sort of bank you are, federal regulators including the SEC, OCC, FDIC, CFPB, Fed, FTC and others can all have a big impact on your business. We couldn't help but think how Ben & Jerry's would have likely titled this fabric of regulation as something like "Alphabet Soup." One area of regulation that involves them all was created in response to a provision within Dodd-Frank requiring federal agencies to develop standards to help foster diversity and inclusion within the financial services industry. These rules just came out a month ago and despite the fact that they are voluntary, you can bet your bottom dollar that they will be strongly encouraged and practices will be reviewed by the regulatory agencies. Basically, the rules create a framework where all financial institutions will need to perform annual self-assessments of their diversity efforts. Among the specific areas the policy suggests that organizations focus on is the leadership of their boards and senior management. This should include a review of how these individuals approach management on a daily basis, which heavily influences how diversity and inclusion are promoted within an organization as a whole. One specific suggestion is for financial institutions to regularly conduct training and to provide education focused on equal employment opportunities, diversity and inclusion. Additionally, institutions are encouraged to take a close look at whether they are actively promoting diversity among applicants by reaching out to organizations of minorities and women, as well as to educational institutions where these groups represent a large percentage of students. Beyond their own hiring practices, financial institutions are advised to examine the diversity of the suppliers and outside businesses they work with. One way of doing this is to examine the percentage of money they spend each year on outside services and see how much is specifically directed to minority-owned and women-owned businesses. In cases where outside contractors are not minority or women-owned, institutions can still foster greater diversity by including their objectives to increase the opportunities for both of these groups within their business contracts. Additionally, regulators want financial institutions to promote their efforts to increase diversity by making their own practices transparent to the public--whether on their websites, or through promotional materials and shareholder reports. Adhering to these guidelines will be important for institutions, as regulators have made it clear that such factors will be considered in their review of merger and acquisition requests. 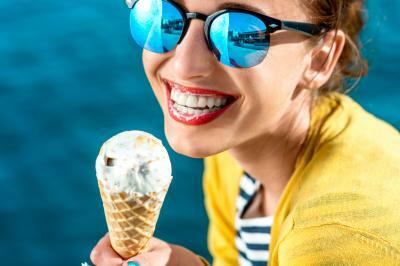 Maybe it is time to consider having an ice cream cone as you ponder the best way to incorporate this new approach into your bank. Yields rose 6bps as investors continued to speculate on the timing of the next interest rate hike, following the disappointing jobs data. Community bankers should note that Forbes reports Japan's Softbank has led a $1B investment into marketplace lender SoFi, in the largest single financing round in the fintech space. This investment will reportedly be used to fund growth, as SoFi builds out its offerings. SoFi currently offers student, mortgage and personal loans and has funded $4B in loans to date. The CFPB fined indirect auto lender Westlake Services and one of its subsidiaries with $48.3mm in fines and restitution ($4.25mm in fines, $44.1mm in restitution) related to debt collection. The companies allegedly called consumers under false pretenses, used fake caller ID information, threatened to refer borrowers to investigation of criminal prosecution and illegally disclosed debt information to employers, friends and family of borrowers. Bloomberg reports a group of large banks that allegedly conspired to limit competition by controlling information about the credit default swap market have agreed to settle for $1.86B. By bank the amounts each will pay are: JPMorgan ($595mm), Morgan Stanley ($230mm), Barclays ($175mm), Goldman Sachs ($164mm), Credit Suisse ($160mm), Deutsche ($120mm) and Bank of America ($90mm). Meanwhile, BNP Paribas, UBS, Citigroup, Royal Bank of Scotland and HSBC also would pay less than $100mm each. BB&T said it will now allow customers to pick and choose colors, pictures and features they want to access after logging into their website and online banking. BB&T's approach gives customers control and allows clients to see information the way they want to, while reducing the need for the bank to constantly try to standardize and enhance digital offerings for the broader population.